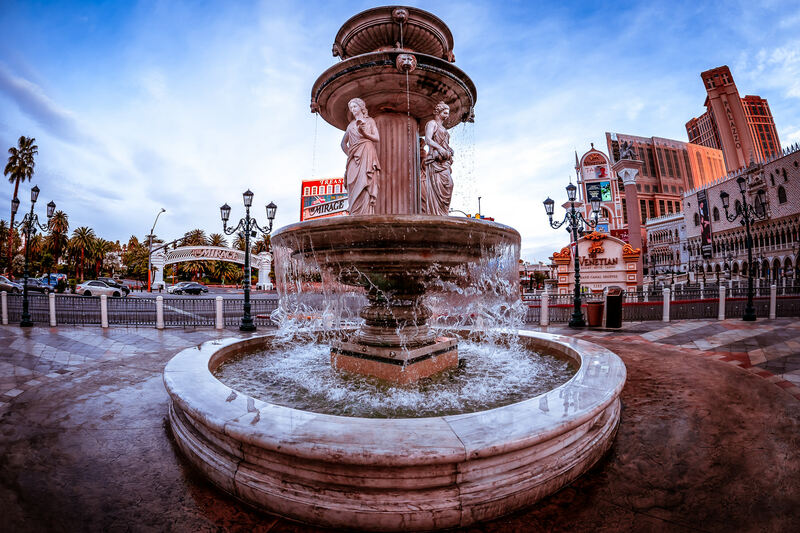 An Italian-styled fountain at the Venetian, Las Vegas. 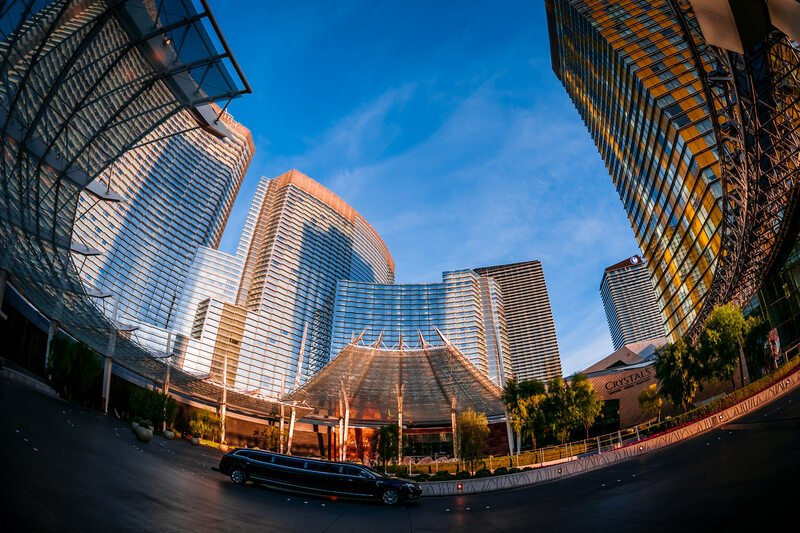 A limousine drives through the circular driveway at Las Vegas’s Aria at CityCenter. 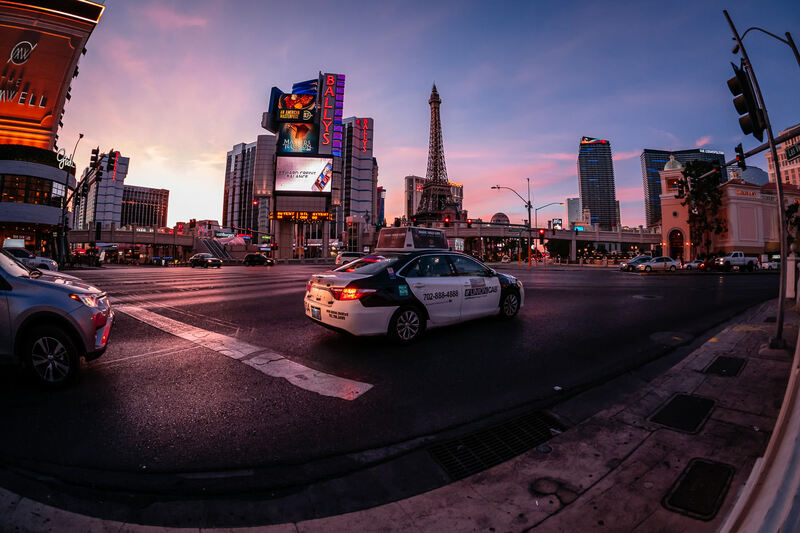 A taxi waits at a traffic light as the sun begins to rise on the Las Vegas Strip. 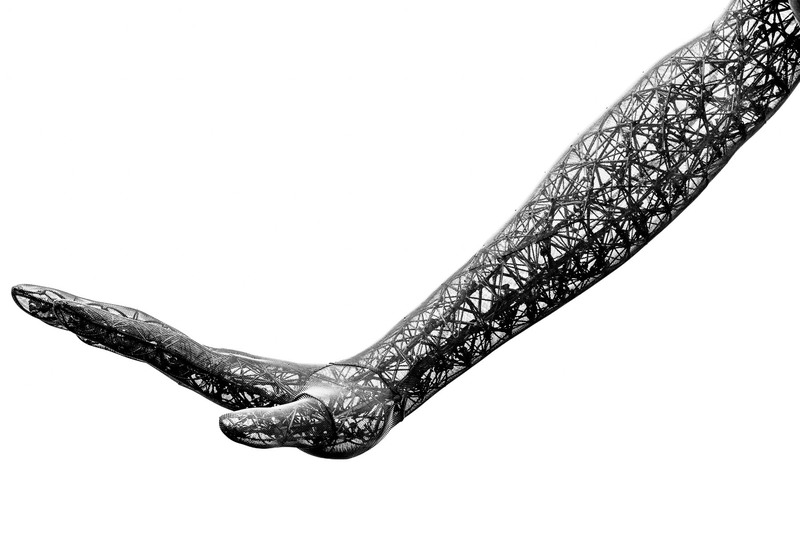 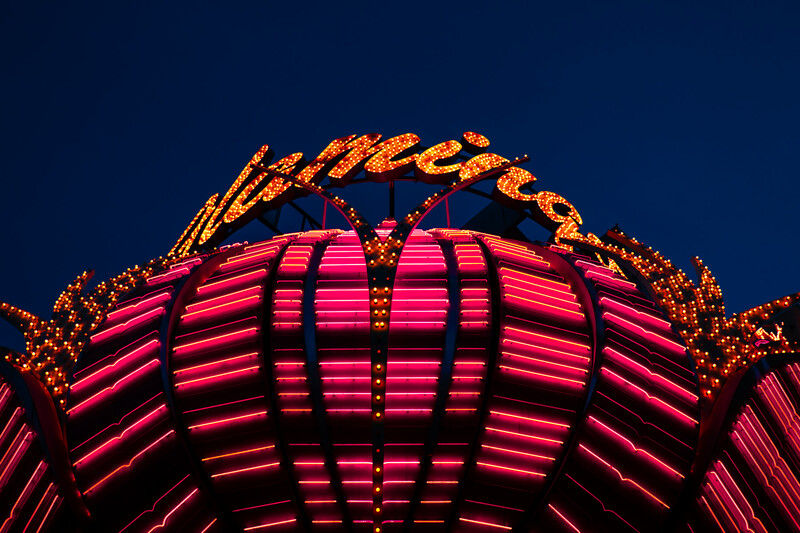 Detail of sculptor Marco Cochrane’s “Bliss Dance“, a 40-foot-tall sculpture on display at Las Vegas’ Park MGM, formerly the Monte Carlo Resort and Casino. 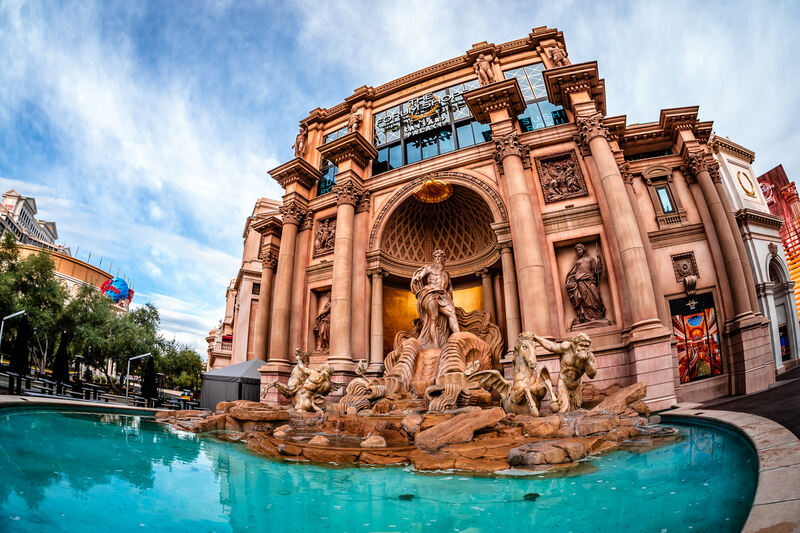 The replica Trevi Fountain at the Forum Shops at Caesars Palace, Las Vegas. 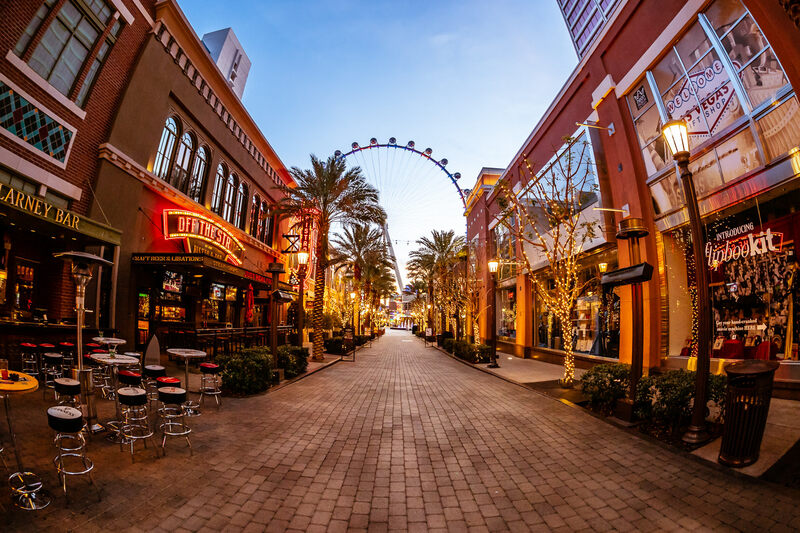 The Linq Promenade leads towards the High Roller observation wheel on an early Las Vegas morning. 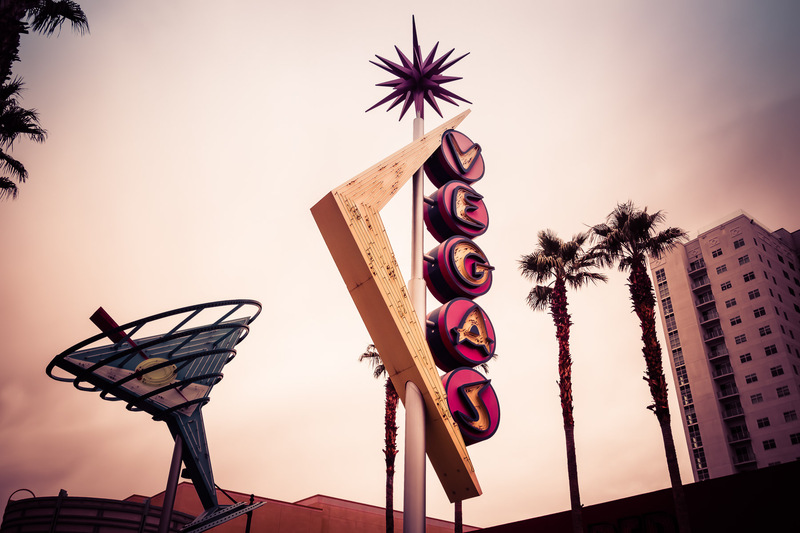 A Googie-styled sign rises into the Downtown Las Vegas sky. 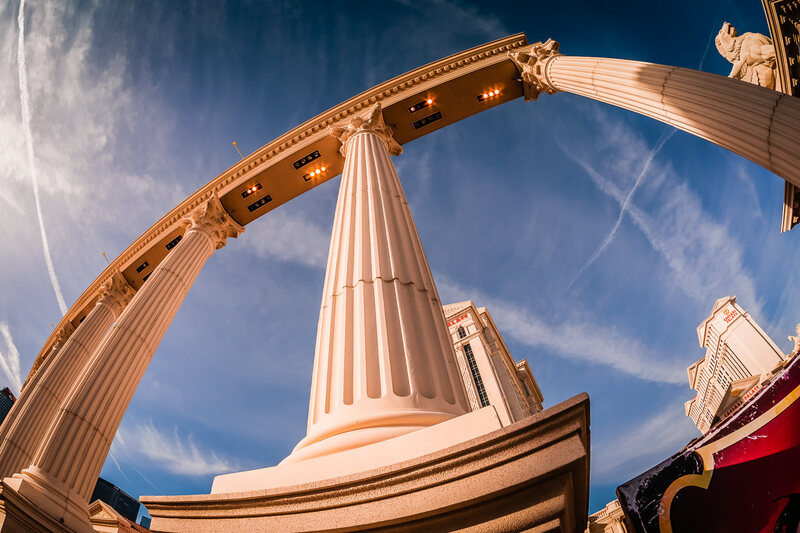 Decorative columns at Caesars Palace rise into the blue Las Vegas sky. 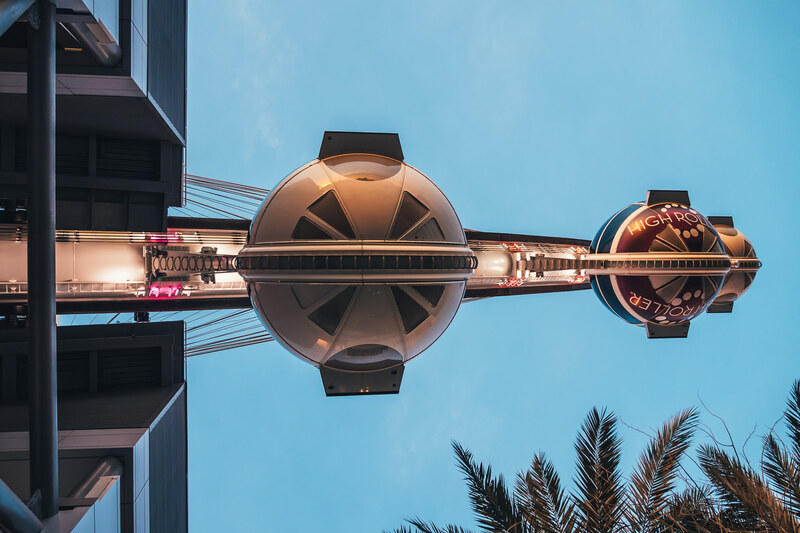 Detail of the High Roller observation wheel, Las Vegas, Nevada.